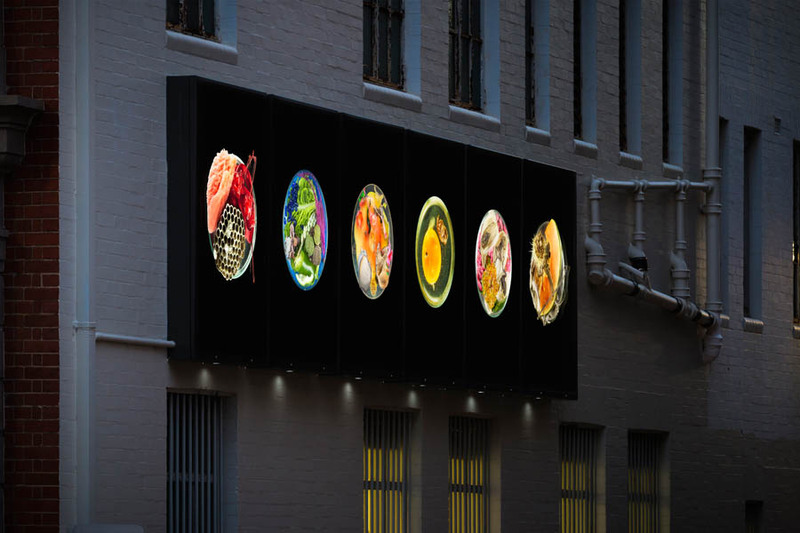 Suzanne Anker: Six works from Vanitas (in a Petri dish) series installed in Brisbane, Australia. 2016. 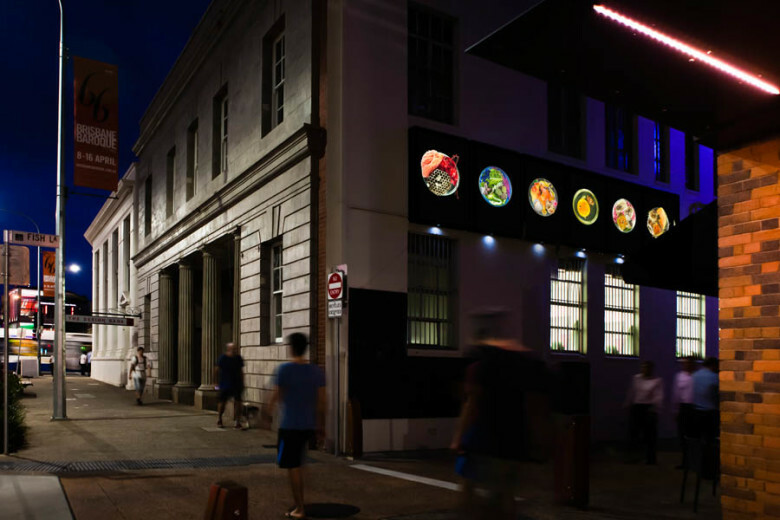 The Vibrant Laneways program transforms Brisbane’s laneways into engaging spaces. An exciting art program is incorporated into each laneway. The intersection of science and art celebrates Brisbane’s World Science Festival with artwork selected by local curator Jay Younger. Drawing on inspiration from science in an urban setting, the project is based on the festival theme of ‘Rethink Science’. Brisbane City Council’s Vibrant Laneways program transforms previously overlooked spaces and invites visitors to explore Brisbane from a new angle. Suzanne Anker exhibits her Vanitas (in a Petri dish) series as an outdoor installation on Fish Lane. The work takes the form of six wall-mounted light-boxes installed on the building’s facade. Whether found in nature or industrially fabricated, objects from various origins are assembled in Petri dishes in this series of work. The Petri dish has, like a Rorschach inkblot or DNA’s double helix, become a popular cultural icon. While the Petri dish is a covered glass plate used in scientific laboratories, it also alludes to something brewing under investigation. Within this container a concept or a substance, if allowed to ferment, will sprout its hidden dimensions. From seeds to politics to toxic environments, the elements pictured here speak to ways in which nature is being altered and reconfigured.